Octavo Productions is a worldclass music production company lead by producer, remixer and composer Dr.Octavo based in Edmonton, Canada. 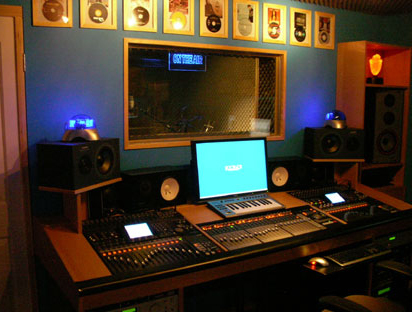 We offer a wide range of highest quality services from laying down a 30 sec radio jingle to writing and recording a full artist album, creating a superb remix or producing a feature movie soundtrack - including musical consultancy and project management for projects of any kind. As proudly as we offer our "on-demand work", we also present our original studio projects which are available for licensing. Whether you're here just for fun or for business, check out our work and enjoy exploring our website! If you have any further questions or feedback, feel free to contact us! Colin Oberst (Octavo Crew Member) makes Canadian Hockey History. His song "Canadian Gold" becomes the new Hockey Night In Canada Anthem! The Surgents have released their debut EP. The video shoot for the first single "The Show" has just been finished. Our studio in Edmonton, Canada has moved to a new location - bigger, better and more comfortable than ever!